Society is known for placing impossible beauty standards upon women. A common practice is laser hair removal. The procedure is performed by doctors, and it is also offered in many salons and spas that have medical professionals on staff. 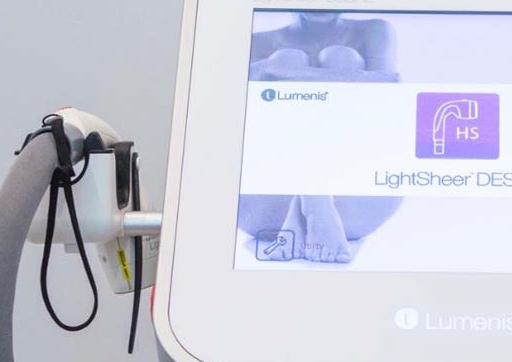 Laser hair removal is one of the most popular procedures among those who are seeking enhancements to their physical appearance, and for many years it has been pronounced safe. Now, a new study is about to question the safety of laser hair removal. The study in question was conducted by Dr. Gary S. Chuang. Dr. Chuang believes that the actual process of laser hair removal can release toxins into the air. The toxins can be harmful to the health of those who are undergoing the procedure as well as those who are administering it. Dr. Chuang has impressive credentials. He practices at the Tufts Medical Center in Boston as a dermatologic surgeon. He was assisted in the study by a team of research professionals with experience in dermatology. The team plans to eventually publish the results of their study in a medical journal. The announcement of the study has been met with initial resistance by some of Chuang’s colleagues. 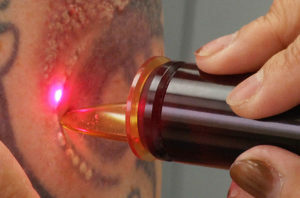 Other doctors were hesitant to accept the doctor’s concerns about the presence of black smoke that Dr. Chuang noted every time he conducted laser hair removal on a patient. In Dr. Chuang’s case, this can be as much as 20 times every week. Some believed that the smoke was caused by sulfur which is found in human hair. Still, Chuang through there was more to the black smoke than sulfur. He believed that chemicals used in the process could be responsible. This aspect of the study is not unique. Other studies have proven that lasers used during surgical procedures can release harmful chemicals into the atmosphere. There have even been reported cases of ailments to medical staff that are believed to be associated with breathing in the chemicals that are released, although this cannot be proven with absolute certainty. The study performed by Dr. Chuang would seem to indicate that medical professionals who conduct laser hair removal are at the greatest risk. The researchers believe that repeated exposure to the chemicals that are being released could irritate existing medical conditions like asthma. Chuang is quick to point out that more studies are required before a definitive link can be established. The information presented in the study has caused a fair amount of concern among dermatologists. Many professionals like Dr. Elizabeth Hale believed that the smoke evacuators that are used during procedures are not doing enough to purify the surrounding areas. Even worse, some salons and spas do not use evacuators at all. Hale is convinced that better options need to be provided, but she worries that the expense of better equipment is something that many professionals won’t be able to bear. The lasers themselves already contribute to a large expense. Other doctors are already giving consideration to the manner in which they proceed with laser hair removal based on the preliminary findings of the study. Other doctors remain steadfast in the practice of laser hair removal because they say that no harmful effects have been noted by themselves or the staff they employ. Some of these doctors believe the chemicals pose no more risk than the ordinary substances that are released from things like cigarette smoke or the exhaust from vehicles. Most would agree, however, that evacuators and masks are a must for most offices that provide the procedure. Those who want to have the procedure performed seem to be at the least risk, presumably because they do not have to encounter the chemicals on a regular basis. Some doctors, however, believe that patients requesting a mask should be accommodated. The problem is that many offices do not have these masks available, and wearing a simple surgical mask will not provide the protection that is necessary. Another issue is that there are few existing regulations which pertain to the laser hair removal industry. The fact is that it can be performed in spas and salons where a doctor is not required to be present. There is also no body that insists on certain standards for these facilities. Staff can be poorly trained, and many of them may be completely new to the procedures. Board-certified physicians who offer the treatment are more expensive, though, so many individuals opt for spas. There have been cases of individuals being burned or scarred when receiving laser hair removal at a spa. The patient should be cautious and only receive services from a provider that they can trust. More information will be coming about the laser hair removal study performed by Dr. Chuang. The hope of the researchers is that the present study will prompt further inquiries. Over time it is possible that such studies will force dangerous regulations upon the industry as a whole. Further studies could also reveal the presence of even more chemicals that are harmful to patients as well as providers. In the meantime it would be beneficial for individuals to think about their own motivations for laser hair removal. These patients will ultimately have to weigh the benefits of the procedure against the possible health risks.